Dr. Hiroshi Nakajima is a founding member of the Muography Art Project (a collaboration between professional artists, UTokyo ERI, Kansai University and Tama Art University) which is supported by the Japanese Ministry of Education, Culture, Sports, Science and Technology. 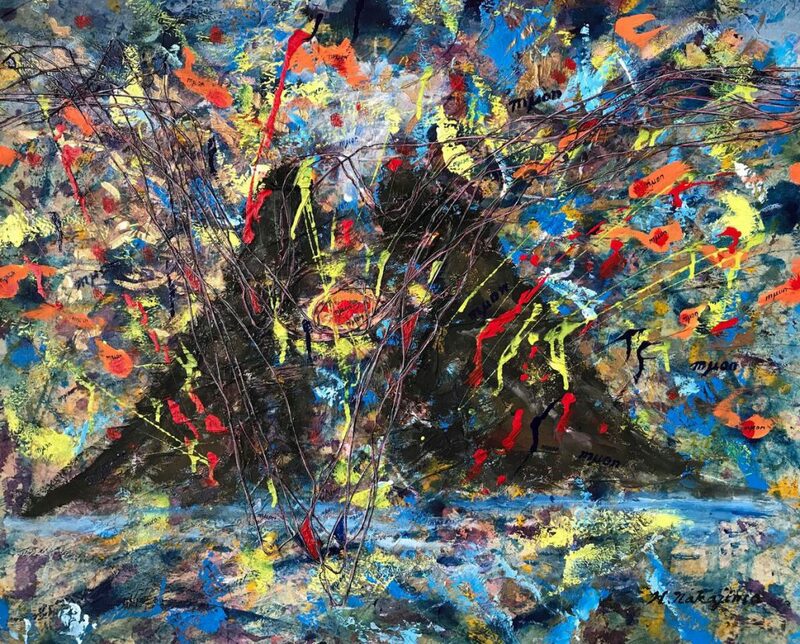 Since 2016, he has been creating a series of muography art paintings, has played an active role in the development of the Fine-Art Muographer community by organising and participating in exhibitions, given lectures on muography art at universities and science conferences and has mentored artists interested in this field. He has a keen interest in cultural and international exchange. As well as having traveled and lived in Europe, he is a member of the UNESCO International Association of Art and General Manager of the Kansai Hungary Society. In addition to his painting career he is a part time lecturer at Osaka University of the Arts Department (where he received his doctorate of Fine Arts) and serves an an advisor to Holbein Art Supplies. Dr. Nakajima has exhibited in solo and group shows in Japan and worldwide including the national Sun Yet-sen Memorial Hall (Taiwan). 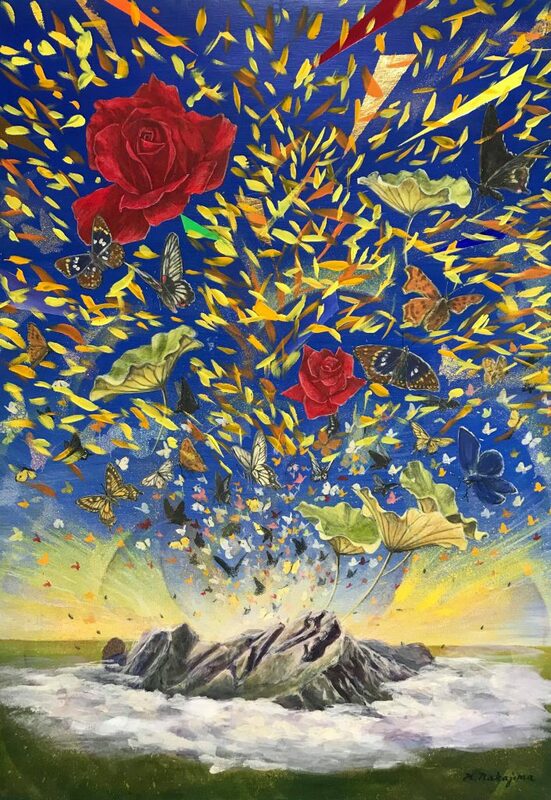 Also, he created murals for Mimihara General Hospital, for the registered tangible cultural heritage shrine, Aritooshi, and his muography paintings are exhibited at The International Centre for Theoretical Physics (ICTP) in Trieste, Italy. Q: What attracted you to the subject of muography and how did you get involved as one of the founding members of the Muography Art Project? I have always thought that art is very important in life, and that it should play an important role for human beings. Some artists think that art only exists for art’s sake, but I think that art exists for the sake of human beings. Art gives power to us. Art has many good points. One of the purposes of art is to impress and move us, leading us to an unknown world. This is the point where science and art meet. Science is of course very important for human beings and we owe a lot to science. It is no exaggeration to say that our existence depends on science. Without science our modern life would not be possible. These ideas about science were formed during a conversation I had with Dr. Hiroyuki Tanaka of Tokyo University. He invited me to his lecture at the Italian Cultural Center in Osaka in 2016. That was the first time I met him. He explained to me that muography is a modern scientific technique through which gigantic objects such as volcanoes, pyramids, kofun (ancient Japanese burial mounds) and other large structures can be imaged in a way similar to how X rays work. Everybody knows what an X-ray is, but fewer people know about muography, though they are both very important. And I determined that I could do something to contribute to muography. I made up my mind to combine science and art and create artworks which would bring happiness and at the same time contribute to humans. Q: What are some of the biggest challenges you faced while translating the ideas of muography into paintings? I still face the big and difficult challenges creating muography paintings. In the first place nobody can really define art precisely. The definition of art is so vague that it takes time to create the artworks according to some theme, especially very new theme. 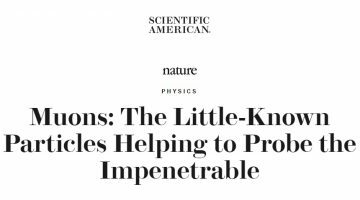 Everything concerned with science is very new to me. It is said that nothing comes from nothing, but perhaps they aren’t considering the muon or artistic ideas. These things can’t be seen with our eyes. But our brains and feelings can sense or analyse both of them. muography painting forces me to push the limits of my imagination. It is a new challenge. So I am happy now to think what I will create in my next step. I have been excited. Q: Volcanic eruptions are normally associated with death and destruction. 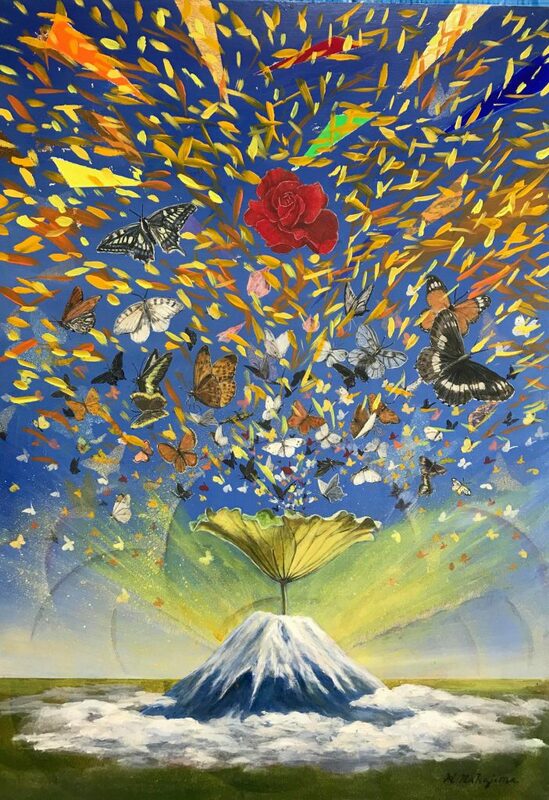 What influenced you to choose the symbols of butterflies and flowers “erupting” from a volcano? Yes, volcanic eruptions are normally associated with destruction and dynamic energy and so on. Sometimes also death. I have produced a lot of trial and error paintings since this project started. One of them is the artworks of butterflies and flowers. I decided to choose butterflies and flowers for the symbols of the muon. The life of a muon is very, very short after it is created in the Earth’s atmosphere. 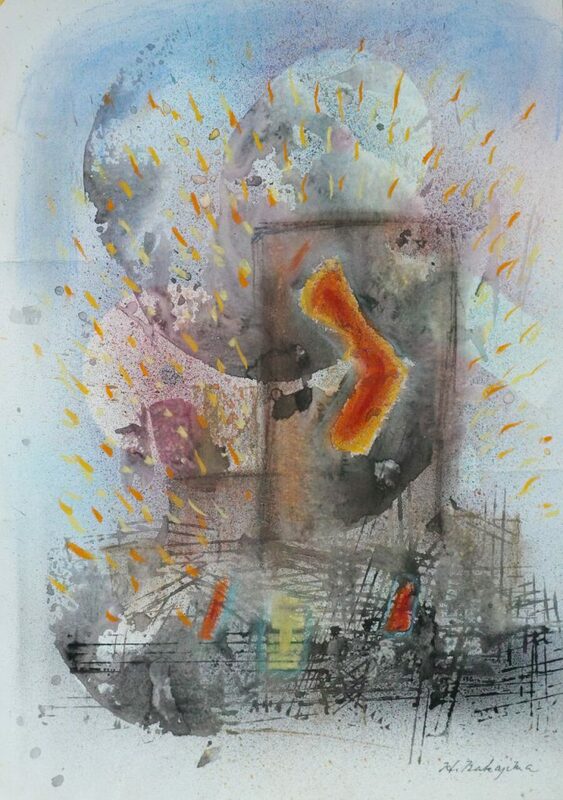 This might be a contradiction to expressing the destructive and dynamic eruption of a volcano. This is where art plays an interesting role. When I learned what muon is for the first time, I was very moved and felt the idea was romantic. The muon comes from an unbelievably distant universe and exists for only a few seconds. So I chose the butterflies and flowers which are very beautiful and ephemeral. Science and art are beautiful! Imagination is very important for both fields. So in order to arouse the imagination, I dared to choose motifs nobody imagined before! 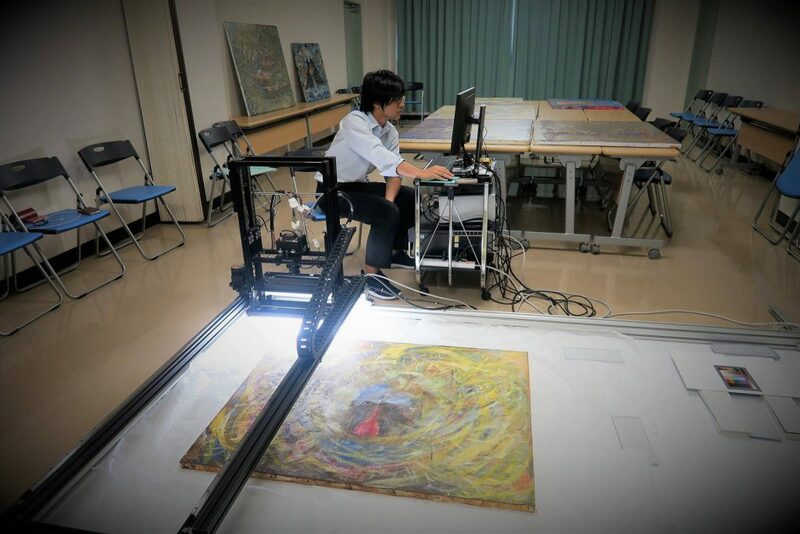 Q: In cooperation with Dr. Kenji Sumiya and Kansai University, your paintings have been scanned and exhibited on 4k and 8k screens. What are the advantages and disadvantages of this kind of presentation? 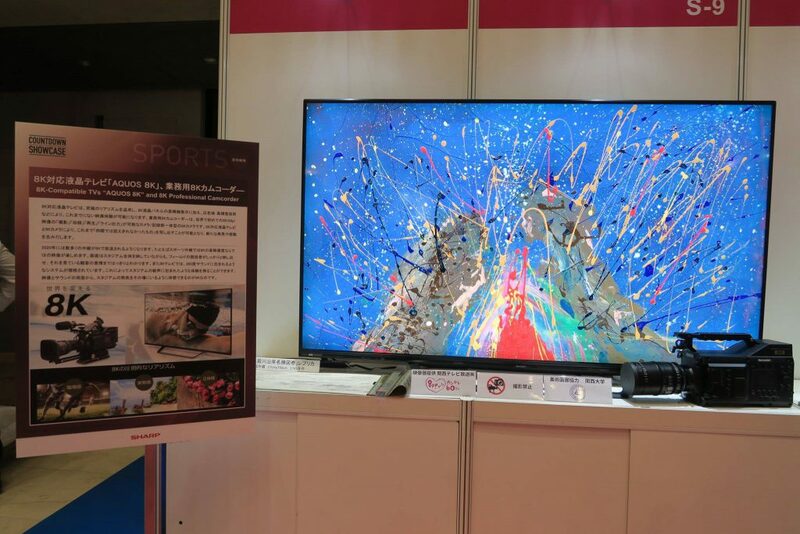 Together with Dr.Kenji Sumiya and Kansai University I got involved in 4k and 8k montior presentation of my artwork. I think that for my paintings there are far more advantages than disadvantages on 4k and especially 8k screens. One disadvantage is that if my paintings are traditional, this presentation may not appeal to people who value conventional display of original traditional paintings above other things. And another disadvantage is that it requires a gallery or group to invest in a 4k or 8k screen in order to exhibit the works. Dr. Nakajima’s muography painting displayed on a 8k monitor as part of a Osaka City Hall exhibition for the 2025 World Expo bid, which was later approved. On the other hand there are many advantages. 4k and 8k scanning is a product of science, so it seems appropriate to display a muography painting on such a device. For example even a small part of the original artwork enlarged by the help of 4k or 8k can be an art work itself. 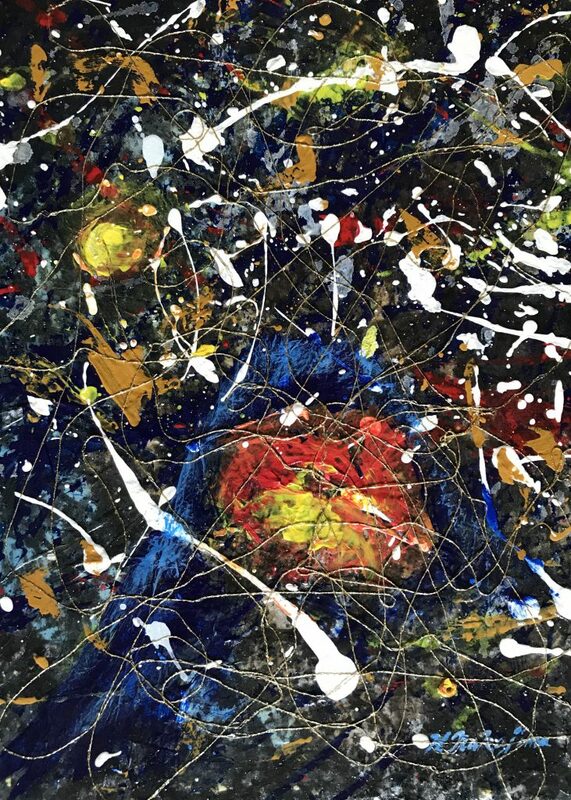 We can see the numerous enlarged small colored dots on the canvas and this might remind us of the existence of a universe with almost countless muons. Using 4k or 8k screen we are also be able to see the tiny parts which we can’t see on the original canvas. Some defects on the canvas appear on the screen by getting bigger and bigger. Very interesting! The artworks on the screen remind us of science as well. It also attracts the attention of younger audiences who may not otherwise respond to traditional paintings. 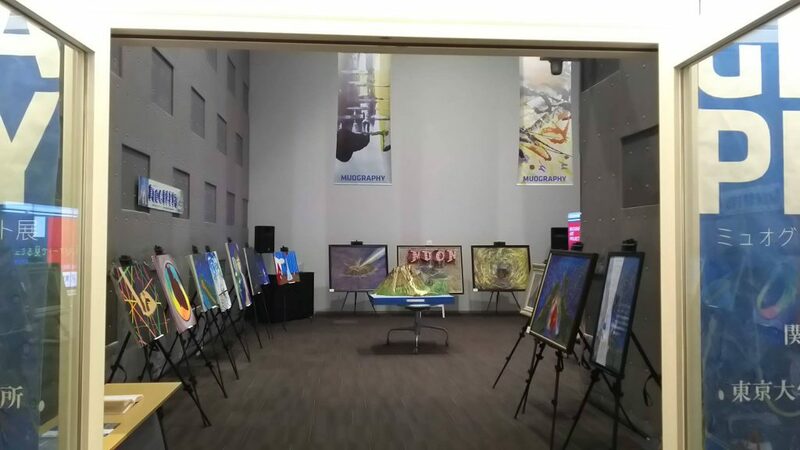 Also it allows artworks to be shown simultaneously in 2 locations without expensive transportation which means more general audiences can experience these paintings and get inspired by the Muography Art Project. This is one of the most important purposes of this project. 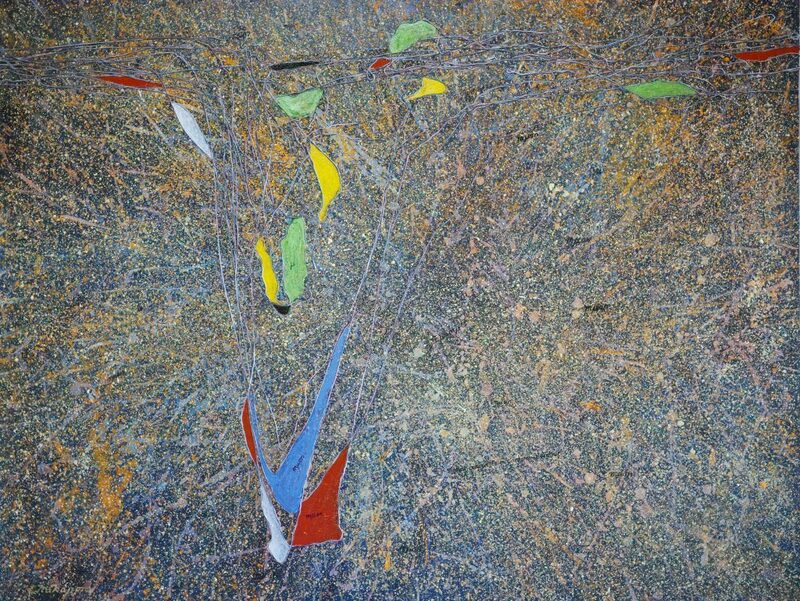 Q: What was your creative process for “Volcano of Threads” with its combination of both paint and multi colored threads. What inspired this combination of materials? There are many ways and techniques to create artwork. Strictly speaking for creating traditional oil paintings, only oil paints must be used, not any other materials. But for this project which is a frontier art field, anything is possible as long as the art works achieve the goal. 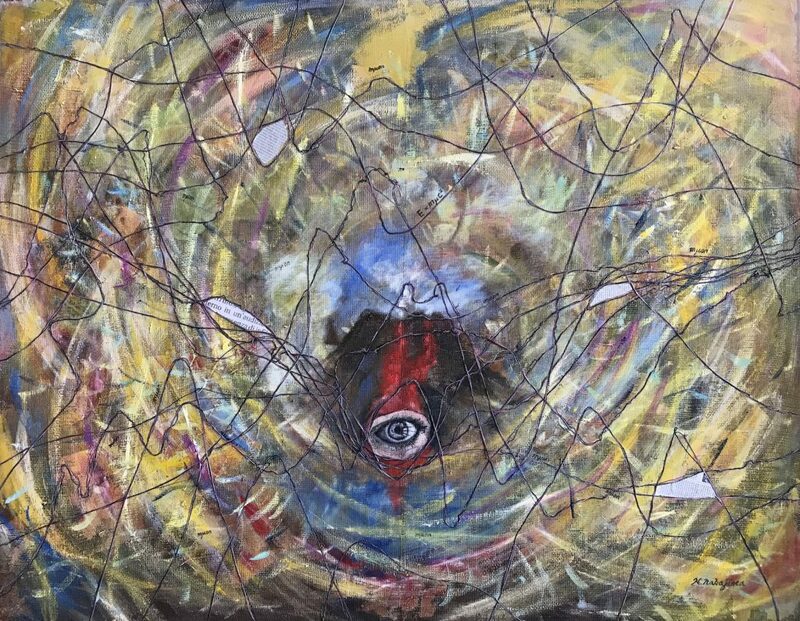 When I created “Volcano of Threads” I combined science and art and at the same time kept the scientific data or anything connected with science separate. A volcano is a part of nature. In order to see through the tube of the volcano, artificial modern scientific techniques are used. So for the data of muography I decided threads instead of oil paint. Threads are long lines and can express the concept of lines of data. The seemingly moving lines also depict the trace of muons from the universe. Q: How have your experiences traveling and living in Europe affected your outlook and the style of your artwork? Art is boundless, and for the development of art, it must change every minute. Like a pool of stagnant water, if art stays as it is, it decays. Especially for this muography art project, we keep moving to find very new ways of creating art like science itself. So artists should exchange ideas and learn new ideas from all over the world. For a very long time I have been in contact with foreign artists and people from other countries in general. This is very important, I believe. 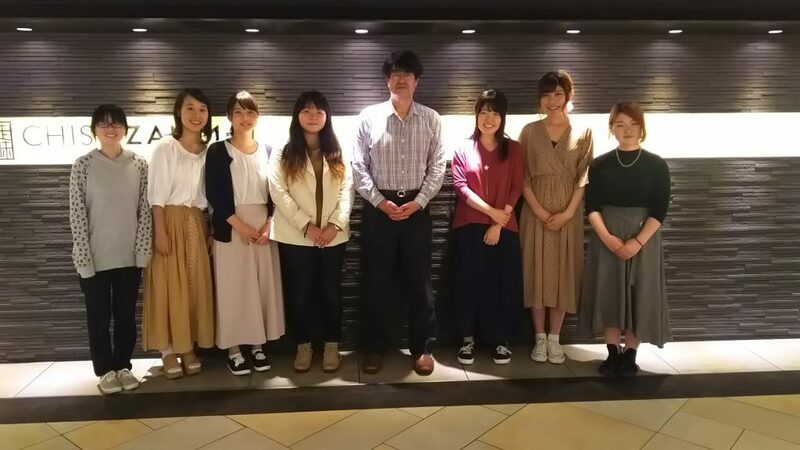 Q: Please describe your work mentoring painting students, particularly recently as you helped students from Kansai University to prepare their paintings for muography art exhibits. What motivates you to teach and do you feel it has contributed to your own painting career? 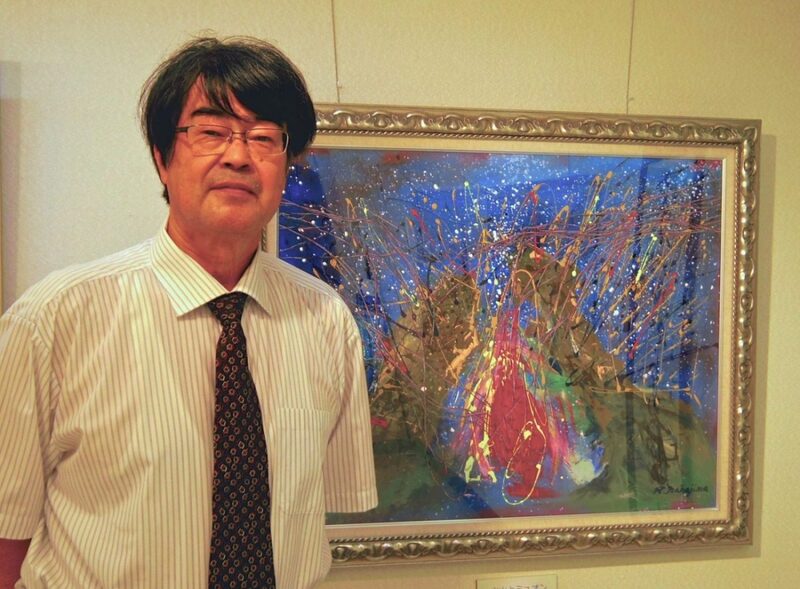 Dr.Kenji Sumiya has managed the Kansai University Muography Art Project student artists. What I do is to give advice and comments on their artworks. To create artworks, what is important is that we must know the essence even though the works are abstract. First of all, in this project we have to recognise what muography is. Then we must create works for the general public that will interest them in the subject of muography so they know how it is important and useful for our daily life. So when I mentor painting students and so forth, I always convey my general knowledge of muography and let them decide for themselves what the best way is for them to create muography art. What is important is not the art material but how they express their thoughts on the canvas with their own material. Young students don’t have sophisticated painting techniques, but their ideas are fresh and boundless. That is good. As I mentioned, art is very difficult to define. But like every subject, fundamental knowledge is important. If the young generation gain knowledge of art and techniques, they can apply their experience to their lives even they don’t work work in the art field. Yes, this project contributed a lot to me. This collaboration has inspired me to continue to be earnestly engaged with the material in this project. Q: Could you discuss your experience with creating muography art for display at the International Centre for Theoretical Physics? The International Centre for Theoretical Physics (ICTP) has been a driving force behind global efforts to advance scientific expertise in the developing world. It was founded by Abdus Salam, Nobel Prize winner in Physics. 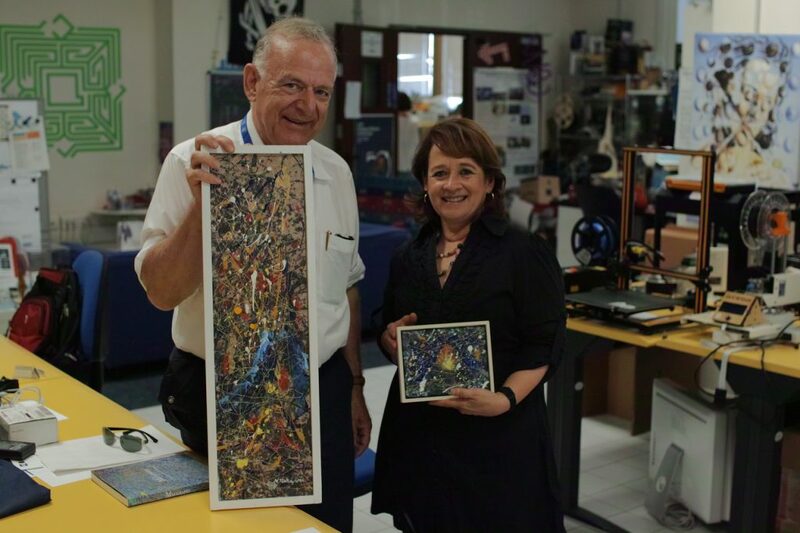 Last summer Professor Sandor Markon asked me to give a lecture on muography art at ICTP (International Centre for the Theoretical Physics) in Trieste in Italy. I contributed a recording of my presentation on muography and 4 muography artworks for Dr. Marcon Sandor to present on my behalf since I couldn’t join the workshop. My artworks are on the wall of ICTP permanently for researchers and visitors from around the world to view and become more familiar with muography. Two of the Muography artworks that Hiroshi Nakajima donated to the International Center of Theoretical Physics in Trieste, Italy held by Dr. Sandor Markon (Kobe Institute of Computing) and a colleague.